​Bonsai (盆栽, "tray planting" About this sound pronunciation (help·info)) is a Japanese art form using trees grown in containers. Similar practices exist in other cultures, including the Chinese tradition of penzai or penjing from which the art originated, and the miniature living landscapes of Vietnamese hòn non bộ. The Japanese tradition dates back over a thousand years. "Bonsai" is a Japanese pronunciation of the earlier Chinese term penzai. The word bonsai is often used in English as an umbrella term for all miniature trees in containers or pots. The box art shows a bonsai tree in a pot. It is kind of bent like a letter "S". A small photo shows just how big the kit makes up to be. It says that bonsai is a miniature potted tree for enjoying its graceful branches or leaves. It is shaped and modeled on natural scenery. Making bonsai is an artistic hobby that takes time and effort in pruning, wiring, watering and taking care of the plant for it to grow to its desired work of art. 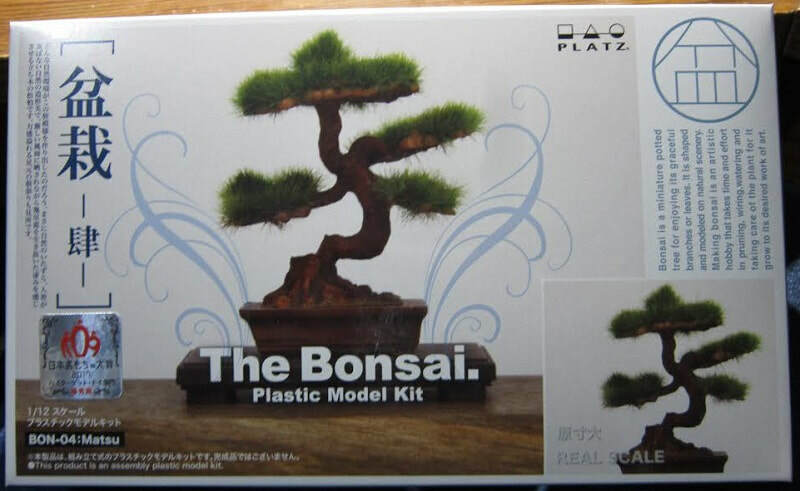 One side panel of the box has 3 color photos of other bonsai tree variants that Platz makes made up, followed by a list of features of the kit in Japanese, English and French: "This is a plastic unassembled scale model kit. Glue and paint are not included. Some parts are extremely sharp, handle carefully. Do not use near fire while using glue and/or paint. Suitable for age 15 and above". The other side panel has a illustration of the kit parts, followed by 3 color photos of the tree being assembled and Platz Co. Ltd's. street address in Shizuoka City, Japan and their telephone and FAX numbers. 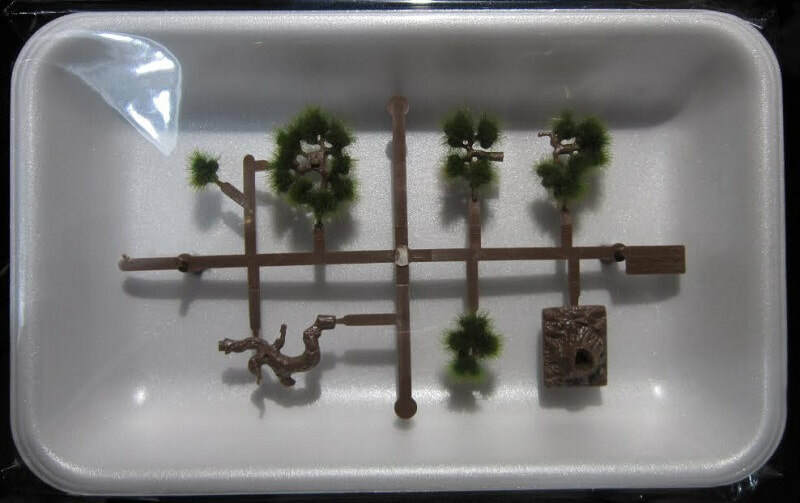 This kit contains one dark green tree of parts and a single green part. The tree is in a white foam styrene tray inside a sealed cello bag. 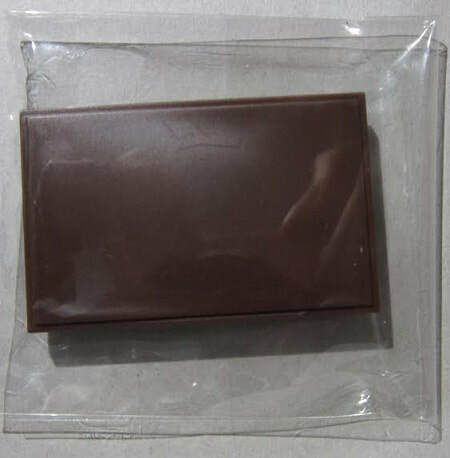 The single part is also in a sealed cello bag. ​The lone part is the display base. The instructions complete the kit's contents. It consists of a single sheet that is printed on both sides in color on slick-coated paper, folded twice to fit the box. The face side is the assembly instructions with several exploded drawings. Text is all in Japanese. The parts illustrations are at the top. At the bottom of the page there are 3 box arts of other versions of bonsai trees. The reverse side of the sheet lists types of bonsai trees and shows black and white illustrations of other bonsai tree kits that Platz makes. Text is in Japanese and English here. Like the first Bonsai tree reviewed on this site this is a nice kit. However, I don't know how much interest it will have from U.S. modelers. It is basically aimed at Japanese modelers. I want to sincerely thank the folks at Platz for this sample.